On the high seas a conflict between a U-boat captain and his mestizo grandson is working itself out with murder and destruction in the works. Will the college-age grandson prevail against the aged U-boat captain and his WWII generation crew, bent as they are on the sinking of a U.S. aircraft carrier? When you add into this mix an Iranian nuclear sub, bought from the Russians to obliterate Israel, you have a realistic story! See how the lone grandson fares. Todd Freund, after serving in Korea with the U.S. Army, started out as a shoe salesman after his discharge and eventually reached the executive level. But he always retained the dream of someday publishing his own thriller. That seemed to become possible at the 60th Anniversary Reunion of his St. Mary's High School graduating class. There he joined with his fellow octogenarian, Frederick Von Burg, an Indie author and publisher. Frederick did not immediately take to Todd's idea of a thriller, but eventually he could see the possibility for a literary novel. He started out in the spring of the following year, but everything was put on hold when he was sent to St. Francis Hospital for a pacemaker and quadruple by-pass surgery. He recovered nicely, a heartening outcome for a man who had spent forty-one years of his life teaching English to Long Island, NY teenagers. Loved it and hope the authors write another!!!!!!!!!!! A bit slim on details, but a good, quick summer read. Very interesting analysis of the changing ideology. Congrats on a first time write. 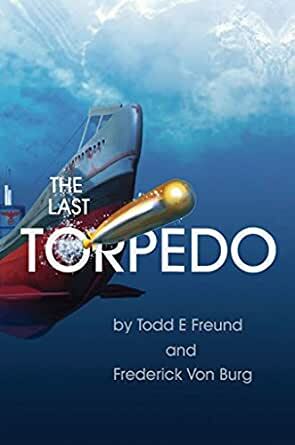 The Last Torpedo is a military thriller tying in revenge from World War 2 with a modern day twist. 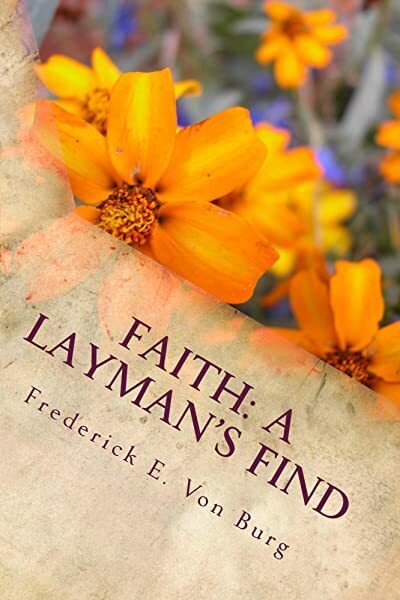 The novel is co-authored by newcomer Todd Freund and his friend Frederick Von Burg who has a few titles under his belt already. I'm not sure if it was the result of the collaboration or not but while this one had some strong plot ideas, it really did feel light. The overall plot follows Captain Rolf Schenker, a U-Boat captain who has been in hiding since losing the war. His goal now is to use his last surviving torpedo and strike a final blow against the United States by sinking an air craft carrier. Only another submarine is also in the same waters. A Russian sub with weapons on board for its own mission of mass destruction. It isn't long before all three of these meet and the fate of the world is in their hands. Honestly the plot and pacing itself are pretty solid. My issue was that there were too many technical details included and the characters themselves weren't fleshed out enough. It made parts of the story seem mechanical and unnecessary and what I wanted to know more about seemed to be missing. Or in another way to look at it - too much telling and not enough showing. I'm not saying the book was bad, but it wouldn't be something everyone enjoys reading. Still, for a unique way on throwing in the worst villains in humanity's history into a modern era this was a pretty good fit. My other concern though is I feel that some of the players might be a little too old for what they were doing or too naive to think that they could return Germany and Europe to the mindset that held sway when they were running the show. I enjoyed the dramatic conflict between the obsessive Nazi grandfather and the humanistic-minded grandson, with its resolution in a restored moral order and the rare sense of poetic justice. The romance was charming, and in the end, love triumphs over hate. The technological lingo has a sense of authenticity, and the plot has exciting twists and turns.